As far as developing and refining a sound is concerned, Chicago old-timers NOVEMBERS DOOM seemed to really hit stride with 2005's "The Pale Haunt Departure", maintaining that quality level and upping the death metal ante with 2007's "The Novella Reservoir", a more aggressive outing that came with even more memorable songwriting. They had truly found the sweet spot between doom's melancholy and death metal's crushing aggression, all of which came with songwriting that never forsook melody. "Into Night's Requiem Infernal" continues the consistency streak, yet is something other than what many would assume to be a logical extension of "The Novella Reservoir". The music is written in a way that allows a pinch more breathing room and comparatively more restraint, while keeping the affair moving along even during the most somber/mellow moments. 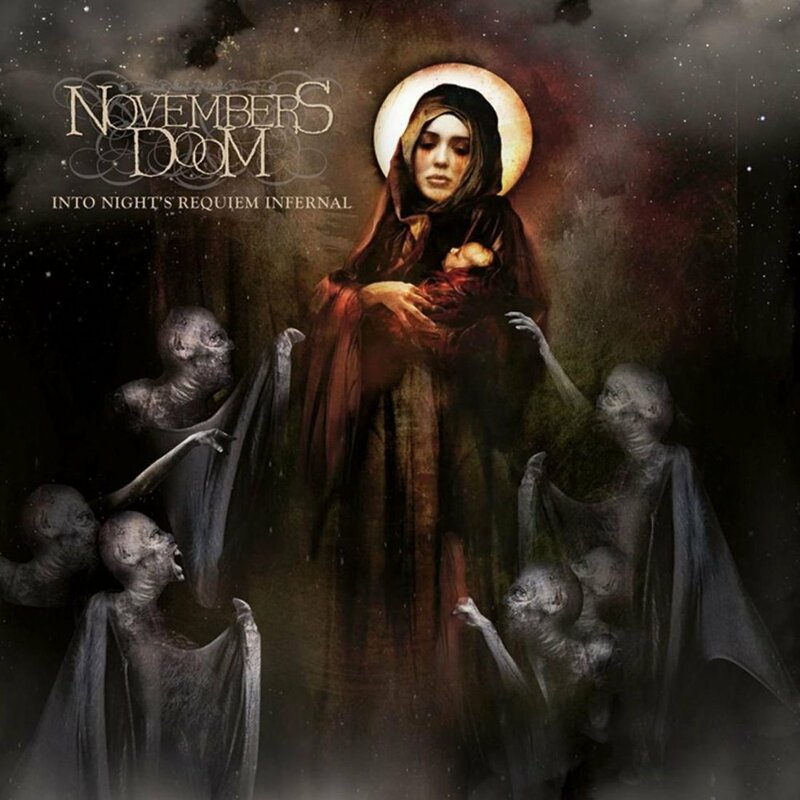 "Into Night's Requiem Infernal" is further proof that NOVEMBERS DOOM is anything but tapped out. It's just a different album that works for somewhat different reasons, a point that should be taken only as praise for a band that understands its sound and still manages to steer clear of the pigeonhole.